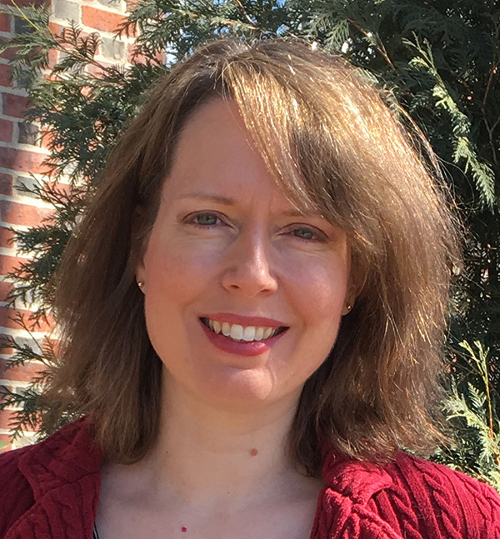 Claire Guyton is a Maine writer, editor, and writing coach. Her work has appeared in numerous journals, including Crazyhorse, Mid-American Review, River Styx, The Journal of Compressed Creative Arts, and Atticus Review; and in the Maine short story anthology, Summer Stories (Shanti Arts, 2013). She has been a Maine Arts Commission Literary Fellow, and holds an MFA from Vermont College of Fine Arts. For almost a year I’d been teaching at a school built into a bowl of land between two mountains. In the shadow of the rock I hunched, pulled my elbows in tight. I scurried from building to building, wincing at the weight of what towered above. On a day when I wasn’t just wincing but dizzy, if I caught myself wanting to fling my body at all that hardness, to beat my fists on it, then I would plan an escape. As soon as possible I would drive the winding road between the mountains, dragging long, shuddering breaths until the rock fell away and I could see sky in every direction. “I don’t hate them,” I said, warming my hands on a mug of tea, my eyes closed. My eyes popped open. The mountains have agency. They’re making me feel claustrophobic on purpose. I drove back along the twisting blacktop, my hands too tight on the steering wheel. How do you fight a mountain? How do you combat its… loom? Whenever I was outside, I kept my eyes on my feet, when I was inside, my back to the window. I spent a lot of time in my cabin with earplugs trying not to hear and feel the mountains’ vibrations. I dreamt about wielding a gigantic jackhammer. I fantasized about ping-ponging between the two faces of rock, scaling up and down with ease. I grew more pale. How do you fight a mountain? You sneak away to a hidden spot, where honeysuckle snakes through a crack in the stone. You break out the chisel and sledgehammer, and you start chipping away, one flake at a time, the very crust of the earth. You scrape and splinter and pound and gouge. You insist that you, you are the permanent one. There is a name for the fear of clowns. Does that name also cover fear of mimes? Or does the terror of mime fall under some associated fear? Fear of fake emotion, fear of forced expression, fear of exaggerated movement. Fear of face powder and skin-tight black pants. Fear of white gloves that make your hands look like napkins. Fear of silence. Fear of cringing in embarrassment for someone who doesn’t know better. Fear of inattention or fear of contempt—which is worse? I had my chance. That time, at church. Just jumped up with no warning, no plan, only to sing the notes climbing my throat. I had everyone’s attention, for once they noticed. Bernice? That ragged little thing? Can she sing? I’d proved it to the chickens in the back yard, to the maples in the woods behind the house, I’d sung with the crickets and the tree frogs and sometimes at dawn I crept out in the pearl gray light to stage a duet with a songbird. There are other words for songbird, names that cover every singing bird, all their songs, all their pretty ways. Passeri. Passing, passing by, passing away. Fear of being passed. Oscine, which makes me think of the ocean, the birds soaring high above, now, but dipping sometimes into the waves. Waves, tidal wave. You can’t breathe under water. Fear of losing breath. If you cannot fly, if God didn’t give you wings, you might sink. Somehow that morning in church, when I’d just that same moment felt the spirit pulling at my joints, when the voice yanked me up by my shirt collar, when it pushed past my teeth to open my lips, somehow the notes got stuck there, trembling on the cliff of my mouth, they got stuck studying the feathers in Mrs. Eggit’s hat, they got stuck in Mr. Jank’s fat frown, or maybe they got caught in that web of expectant air, that electric stillness that held every part of me tight in thrall to all those unblinking eyes. My hands turned to napkins.